Prof. Jayalakshmi K U has an M.Com. in Accounting and Taxation and an MBA in Banking and Finance. She has more than 6 years of teaching experience. She has taught Accountancy and Business Studies for under graduate students and has worked as Co-ordinator and HOD for the Commerce and Management departments in degree colleges. She has taught Strategic Cost Management, Consumer Behavior and Market Analysis, Advanced Financial Management, Direct and Indirect Tax for M.Com Students and Corporate Tax for MBA students. 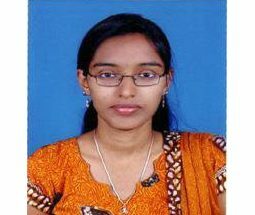 She has presented a paper titled “Efficient Management of Non Performance Asset- with special reference to Pragathi Grameena Co-Operative Bank”, a paper titled “ The Growing Mismatch Between Education and Employment and another paper titled “A Study on Cross Boarder Accounting System” in an International Conference. She has also attended many seminars, workshops and faculty development programs.